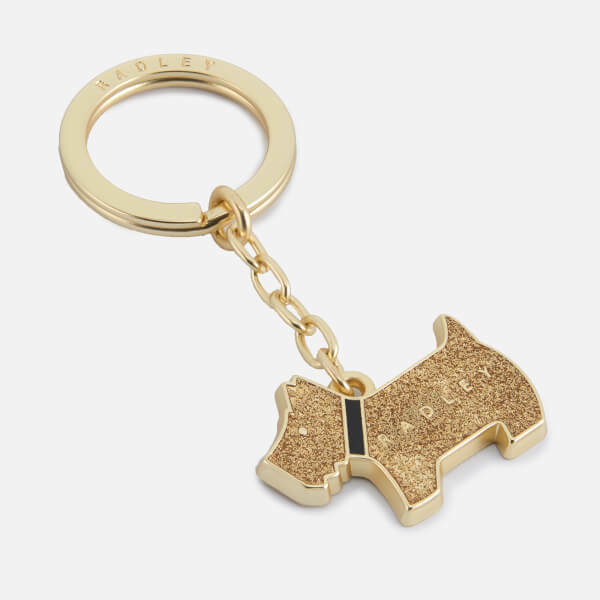 Gold ‘Glitter Pageant’ keyring from British accessories brand, Radley. 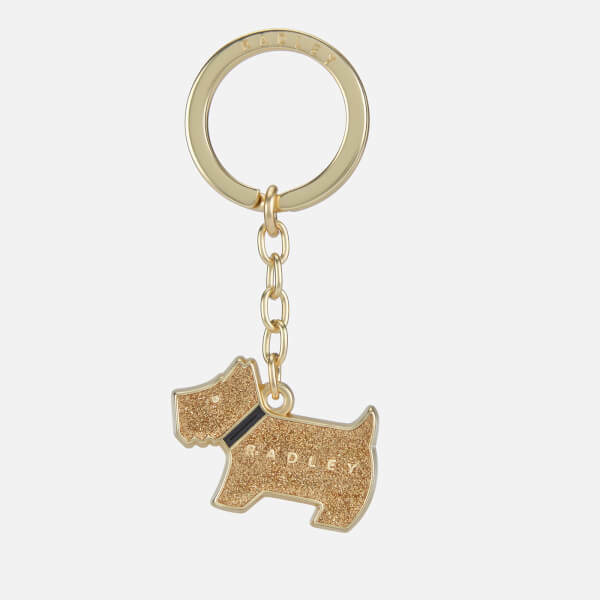 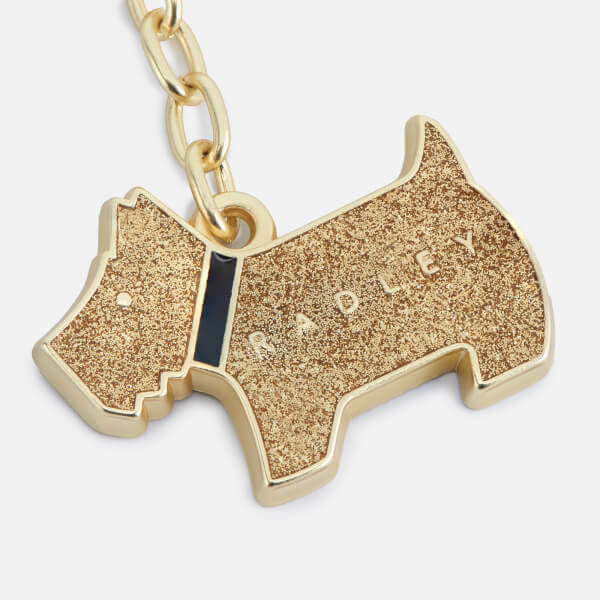 Crafted in gold-toned metal, the bag charm is designed in the shape of the brand’s iconic Scottie dog and decorated with a smooth glitter finish. 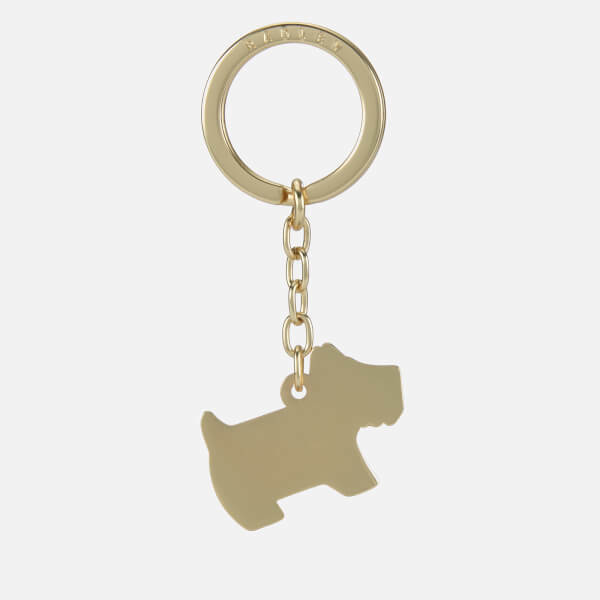 Attaches with a branded link ring.